To create dances that exemplify great beauty, in vast spaces and in the hearts of communities, so that people connect more deeply with themselves, each other, and the earth. To use the healing power of movement to foster within the participants a meaningful sense of place, of belonging and of joy. To promote the idea that we all inhabit one planet; to honor and respect the earth; and to raise awareness of environmental and social issues — and the need to care for the places we live, and for ourselves. Our group’s mission is to create site-specific performances that inspire people to experience their daily environments with renewed eyes and hearts. Our high-quality, artistic events provide community connection, a sense of place, and education about our environment. These celebratory dance performances leave no footprint on the land, but leave a lasting impression. Sage Cowles, a true friend of Global Site Performance, was dance performer, choreographer, and dance educator and held a lifelong passion for dance. From touring in the 40’s with a modern dance troupe, to dancing on Broadway, at DTW and the Walker Art Center, performing in the Bill T. Jones/Arnie Zane Dance Company, interviewing other dance luminaries, to being a board member of the Merce Cunningham Dance Foundation, Sage continued her broad love of all things dance. She received several awards, including an Ernie Award from Dance USA. For the past 20 years, Louise Miner has been a consultant in the areas of individual and organization development. She specializes in high performance teams and loves seeing individuals, teams and organizations achieve more of their potential. 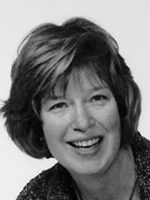 In 2002, Louise was named Minnesota Organization Development Practitioner of the Year. Louise is also an Assistant Professor at St. Catherine University in its Masters in Organizational Leadership (MAOL) program where she has been teaching for the past 15 years. In 2010, Louise was named by St. Catherine University as Faculty of the Year for Teaching and Advising. More importantly, she is the grandmother of two brilliant girls. Ames Sheldon is a writer. She was a fundraiser, working most recently as a Major Gifts Officer at The Blake School, and before that at the University of Minnesota, the Minnesota History Center and the University of St. Thomas. 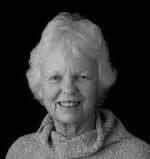 She has performed with Global Site Performance as a driver in the Golf Cart Tango in Red Wing, MN, and also danced with her daughter Anna Phelps in one of Hardenbergh’s Mother’s Day dances at the College (now University) of St. Catherine. 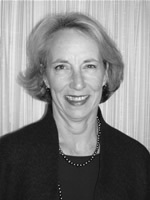 Joanne Von Blon has been a board member of, and advocate for, numerous organizations. 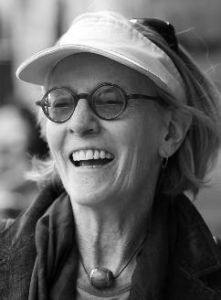 On the board of Graywolf Press and a life trustee of Minnesota Public Radio, she has also supported the Guthrie Theater, the Raptor Center, the Wildcat Sanctuary, and the work of Marylee Hardenbergh for many years.